Your roof is the first defense against weather. It protects against rain, sun, ice and snow. Even a small crack can result in thousands of dollars in repairs to common areas and suites. Knowing how to maintain your roof, and repair it when problems arise, is one of the best ways to protect yourself and your property. Roofs are installed in layers. Yours likely includes a vapour barrier, insulation, membrane/weather barrier and surfacing. Problems arise when any of these layers are damaged. Condo buildings lacking in outdoor space may use the roof as social space. Yet a roof is not typically intended for this purpose. 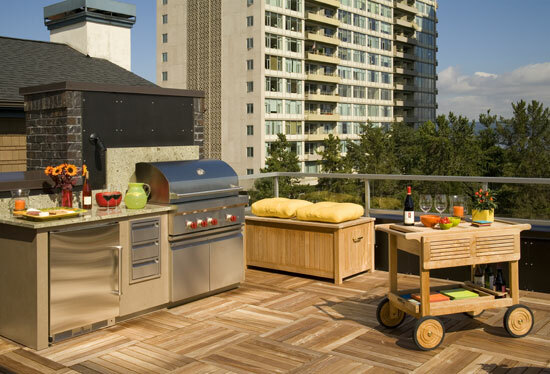 Roofs that include common areas such as sun decks, barbecue areas, plants and furniture are at greater risk of damage. Any damage that occurs must be found to stop water leaks. This entails removal of the deck and materials to find the source of a problem. Workers and people on a roof can inadvertently cause damage. Tools may be dropped, sharp objects may be left on the ground or a small fire may inadvertently be started. Semi-annual roof inspections are recommended. Spring and Fall are the best times to identify problems such as clogged drains which can back up and cause water to leak through a roof. Inspections should be undertaken by a professional, or sometimes adequately trained building staff, who knows what to look for and can identify small problems before they become serious. Roof debris, damaged or tipped-over antennas, damaged skylights and animal damage are all potential concerns. Minor damage may be repairable during an inspection. As a general rule, roof replacement should be considered when the cost of repairs reaches 5% to 7% of replacement cost in a calendar year, and perhaps sooner than that. A well maintained roof can provide protection for 25 to 30 years of service, although instances of 40 to 50 years can occasionally be possible.